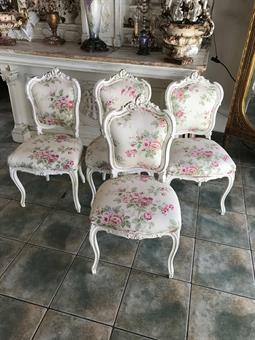 Set of 4 Vintage Petite Country Chairs. 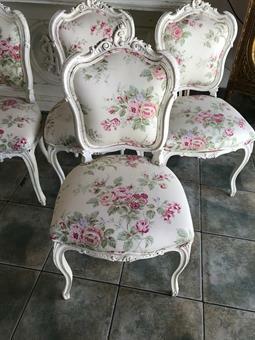 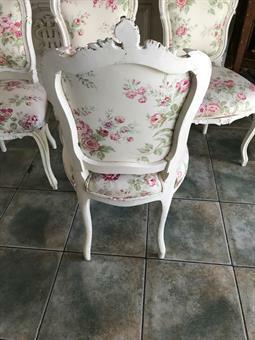 These charming petite chairs are newly covered in a beautiful pale roses fabric. 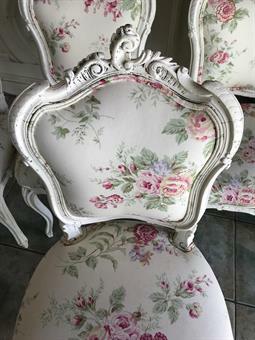 18'' Length x 18.5'' Width x 36'' Height. 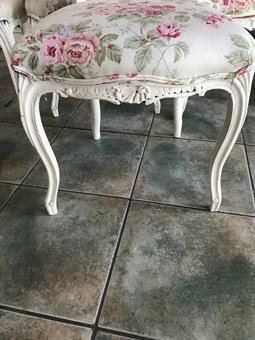 Seat height is 18.5'' Tall.